Similarly you can not access non static members inside static context, which means you can not use non static variables inside static methods, you can not call non static methods from static ones, all those will result in compile time error. Apart from these significant differences between static and non static methods, we will also take a look at few more points in this Java tutorial, with a code example, which shows some of these differences in action. Let's see couple of differences between static and non static method in Java programming language, which is enforced by language itself. 1) I think first and foremost difference between them is that you can call static method without creating any object e.g. Collections.sort(). This makes static method useful utility, while you need to instantiate an object to call non static method in Java. Static methods are also pretty useful on several design pattern including Factory and Singleton. 2) You can not access a non static variable inside any static method in Java, but reverse is fine i.e. you can access static variables or call static method from a non static method without any compile time error. 3) One more worth noting difference between static and non static method is that you can not override static method in Java. They are bonded during compile time using static binding. Though you can create a similar static method in sub class, that is know as method hiding in Java. 4) static methods are known as class methods, if you synchronize static method in Java then they get locked using different monitor than non static methods e.g. both static and non static methods are locked using different monitor in Java, and that's why its grave Java mistake to share a resource between static and non static method in Java. 5) Static methods are commonly used inside utility classes e.g. java.util.Collections or java.util.Arrays, because they are easier to access, as they don't need an object. 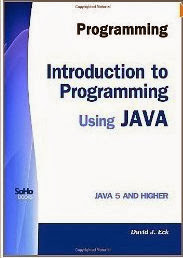 One of the popular example of static method is though main method, which act as entry point for Java programs. * Java program to show some differences between static and non static methods in Java. That's all on difference between static and non static methods in Java. You can see that non static members are not accessible inside static context and you also need to create an object, before calling a static method, due to this reason static methods are more suited as utility method e.g. Arrays.deepEquals(). nice article.. correction in conclusion part. - one of the biggest drawback is that you cannot override a static method, which means you lose the power of Polymorphism. - but at the same time, you can use static method without creating an instance of the class, which is very convenient in many cases.